Belle photographed my recent home birth. How ideal to have a photographer who is talented, professional and also so passionate about the beauty of birth! Belle's love of her work shines through her photos. 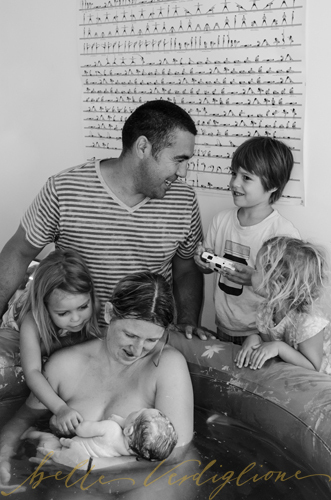 Thanks again Belle your respectful presence has given us such beautiful memories, you captured the magic and your photos re-tell our birth story perfectly. How lucky we were to have Belle capturing Nova's birth for us and leaving us with beautiful images to look back on. I will treasure the photo's always, Nova's legacy. How rare to have an accurate record of your arrival into the world. Belle's photos tell the story of Nova's Birthday perfectly, what a gift! Hi Belle, Thank you so much - the photos are amazing. So so beautiful! Lots of love. I think photographs are a precious reminder of thousands of memories we create with every passing minute of every day. I believe that one of the most sacred moments of our lives is when we first arrive... our birth into this world. These memories are so very precious. I feel we are privileged that technology allows us to create permanent records of these precious moments through film and movies. This is why we chose Belle to create a wonderful documentation of our very special labour and birth of Indiana Jade, our little girl. Belle was a fabulous contributor to our whole birth process. She was such a spiritual, switched on, supportive yet discreet presence throughout our time in hospital. She was available to me and my husband when we needed her, yet most of the time we didn't even know she was there. She was able to capture amazing records of our experiences, especially the precious moments of Indiana's first seconds outside my womb. We now have a fabulous chronology of our whole labour and birth. Belle captured everything so perfectly. I love how she chose to edit the selection of photographs into a lovely story of our journey. Thanks Belle! Belle!!!!!! The photos are absolutely breathtaking!!!!! Thank you so much your work is absolutely divine. We will definitely be using you for photo shoots in the future. 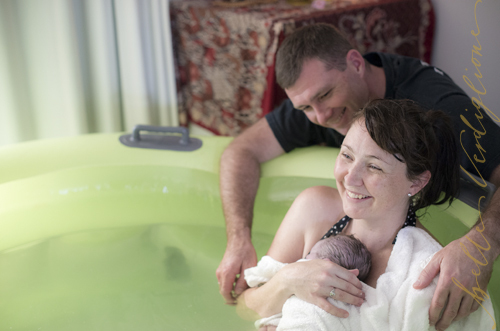 I had the honour of working alongside Belle at a homebirth. She is such a talented photographer and she is so respectful of the birthing environment ~ the woman's space, the sacredness of the event taking place and, being a HBAC as well, she is deeply aware of giving the mum the space she needs for the birth to unfold without feeling observed. At the birth that I worked with her I didn't even feel her presence there. Her work is such a sentiment that families can commemorate for years and look back and sense the emotion of the day as it is captured with such beauty and grace. I chose Belle to photograph the planned Home Birth of my second son in March of 2013 after seeing her exquisite work shared by the Birth Without Fear Facebook page. From the moment of first contact she was warm and friendly, and shared the same values as I regarding birthing and all things natural. Belle arrived fresh and excited in the VERY early hours of the morning of my birthing day. Her presence was bright, happy, but most importantly quiet and unobtrusive. A true credit to her professionalism, I soon barely noticed her presence as she captured all the special moments of the birth. Alas, we did end up transferring to hospital for assistance later that morning, and Belle was invaluable in the transfer process. 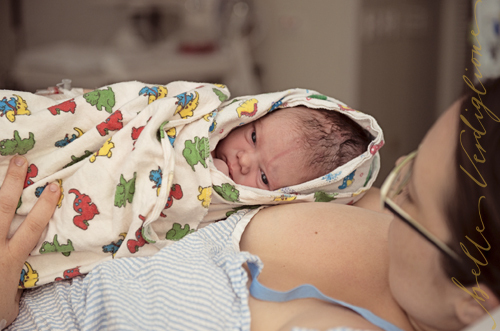 She patiently complied with hospital policy and returned to the birthing room to capture more precious images of my fresh little newborn and our newly expanded family. I shall cherish the photos Belle took, and the fantastic service and care she provided, forever. Definitely a worthy investment! Belle, we received the photos from our birth and, as you already know, I think they are amazing. You captured moments in time and scenes from our birth that our minds couldn't have remembered. Going through the photos brought tears to our eyes and in several cases bouts of laughter. We can't wait to share these with our family that were not able to be present at the birth. These photos will be treasured for a lifetime. Thank you, we wish you all the best and hope that many more lucky families have you at their special occasion so they can have something just as special.